Florida could soon bury more power lines. Customers might pick up the cost. Supporters say the proposals would keep more homes and businesses out of the dark when future hurricanes inevitably wreak havoc on the state. The legislation may result in higher bills for customers, whether power lines go underground in their neighborhoods or not. TALLAHASSEE — A pair of seemingly popular bills have been flying through the Florida Legislature, quietly passing through committees and likely headed to their respective chamber floors. On its face, the combined effort looks like good news for Floridians: It aims to strengthen the electric grid and minimize damage from hurricanes and tropical storms. House Bill 797 and Senate Bill 796 include plans to bring power lines underground, an expensive process that may or may not deliver significant improvement in the grid. Instead, they provide an opportunity for investor-owned utilities to build infrastructure and profit from the capital improvements — charges that will show up on customer utility bills. If passed, utilities would have to give long-range storm protection plans to the Florida Public Service Commission. Supporters say the proposals would keep more homes and businesses out of the dark when future hurricanes inevitably wreak havoc on the state. The legislation may result in higher bills for customers, whether power lines go underground in their neighborhoods or not. According to a 2017 article by the University of Florida’s Director of Energy Studies, burying power lines “is expensive, requires the involvement of many stakeholders and might not solve the problem at all.” It also points out that flooding, storm surge and uprooted trees could harm underground lines. Rep. Randy Fine, who sponsored House Bill 797, said constituents will appreciate the extra costs when their lights stay on, bringing up anecdotal examples of nursing homes that go black during hurricanes or restaurant workers who lose when the power goes out. 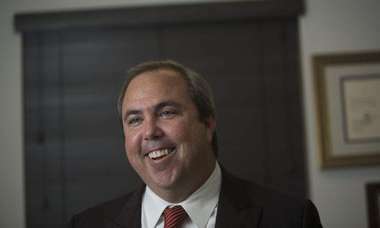 Both Fine’s bill and a version by Sen. Joe Gruters, R-Sarasota, have passed unanimously through their first two committee stops. Because both bills have been heard in their respective chambers, they have the chance of being brought directly to the floor. The Public Service Commission, which regulates utilities, already has a plan in place for storm hardening. 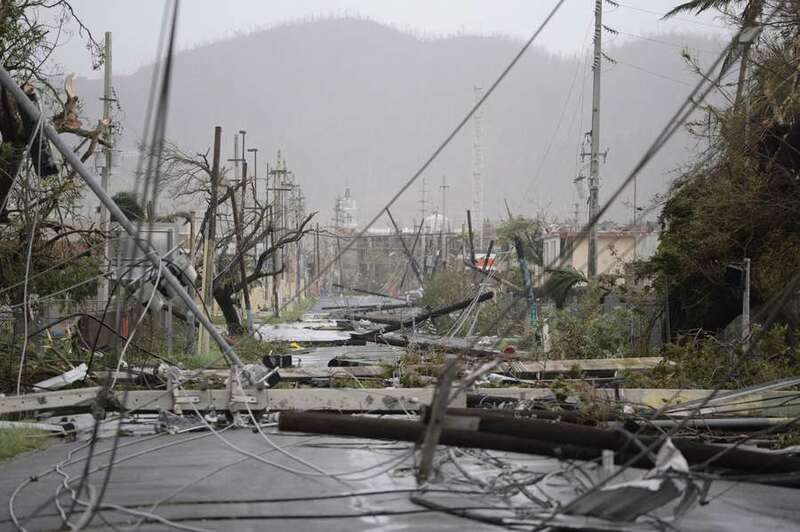 After the rash of Florida hurricanes in 2004 and 2005, the Public Service Commission imposed several new requirements on utility companies with respect to preparing for storms and strengthening infrastructure. The commission adopted a rule that requires each company to file storm hardening plans every three years. The commission declined to comment. During a typical rate case proceeding, commissioners, attorneys and utility companies are able to evaluate the costs and minimize the financial impact to consumers over a months-long process. Base rates are set for a few years, but utilities also go before the Public Service Commission to get approval for expenses that would be paid for in part by customers. This “clause” process is theoretically more streamlined than a rate case and can require a “less rigorous review,” according to Charles Rehwinkel, the state’s deputy public counsel. He said its not until then that one could determine what the impact would be on a typical customer’s bill. These new bills create a separate charge for the undergrounding projects, which means the companies can get a guaranteed return — a profit — on what it spends to bury power lines and complete other hardening projects. According to the staff analysis by the House and Senate, these new bills create a new cost recovery charge, separate from a utility’s base rates. An investor-owned utility can recover its costs to implement a 30-year storm protection plan, including a profit on capital projects. By including the projects in the plans, the bill reflects a policy shift that allows companies to collect the costs of such projects from all ratepayers, rather than the persons who specifically request undergrounding. Trenise Bryant, a board member of the Miami Climate Alliance, said the bill is just another “sweetheart deal” for the utilities. According to the staff analysis of the bills, the Public Service Commission estimates that the implementation of the bill would require them to hire four more employees. In total, they would cost about $261,269 in the next fiscal year. Undergrounding just 4 percent of Florida Power and Light’s overhead power lines would cost about $577 million per year, according to a bill analysis. The state’s largest utility’s current undergrounding program costs more than $632,000 per mile. FPL spokesman Chris McGrath said the big investments will “shave days off” power restoration after a storm and that the bill is more hurricane preparation legislation than anything else. “We appreciate these efforts to harden the energy grid and improve storm preparedness,” Duke spokeswoman Ana Gibbs wrote in an emailed statement. “Tampa Electric has looked at the bill, and we support it. It will enhance our long-range planning for storm hardening, which will help us continue to improve our safe, efficient restoration after storms,” said TECO spokeswoman Cherie Jacobs, in a written statement. Some of the major investor-owned utilities have already started putting lines underground as part of existing programs. Florida Power Light’s three-year pilot program is working to bury existing overhead neighborhood power lines in all regions it serves. Duke has started burying power lines in new developments like the subdivisions along State Road 54 in Pasco County. The company also has put existing power lines underground through a program that targets outage-prone areas. Utilities like Duke, TECO and FPL have shepherded the bill through the Legislature, and have been meeting with lawmakers about the bills from January until the last week of March. The utility industry has long been considered one of the most influential special interests in the state, and donates millions to political campaigns and political committees each year. Rep. Al Jacquet, who has met with lobbyists for utility companies at least three times and visited an FPL facility in January, is the ranking member on the Energy and Utilities Subcommittee. He said the bill is an “amazing lift” for his constituents in coastal Palm Beach County, who do not have underground utilities. The twin bills are part of a pattern of moves that utilities have supported vocally and financially in order to recover costs from customers over the years. 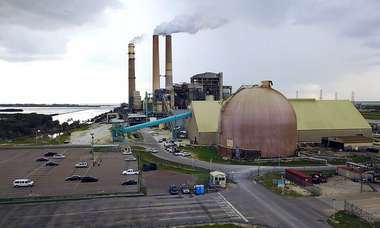 In 2011, for instance, the state approved requests by FPL and another utility, Progress Energy, to add more than $2 monthly to their customers’ bills for nuclear “cost recovery.” The “cost recovery” is for plants that may never be built including proposed new reactors at Turkey Point, 25 miles south of Miami near Homestead. In 2017, FPL was so intent on influencing a constitutional amendment to expand solar installation in Florida, it wrote some of the language to create new requirements for homeowners and businesses that install solar equipment. 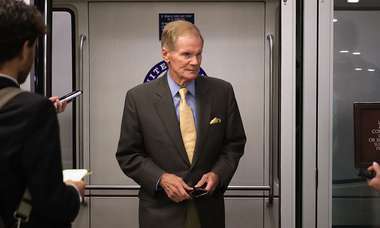 There’s an interesting — and lucrative — connection between the next Senate president and TECO. In May 2016, Sen. Wilton Simpson, R-Trilby, and his wife, Kathy, bought 252 acres of land near Dade City in Pasco County from a subsidiary of Wells Fargo for $1.5 million. It was sold last fall to TECO for $4.4 million. In addition to the utility companies, groups like the Koch-backed 60 Plus Association, Associated Industries of Florida and the Florida Chamber of Commerce also support the bill. The Chamber sent letters to lawmakers to say that their vote on the bills and amendments will be considered in their annual “How They Voted” report card. Screven Watson, a former executive director of the Florida Democratic Party has also been putting on the pressure and sending letters to lawmakers. Watson is also a coalition member of Consumers for Smart Solar — the campaign created to get Floridians to pass Amendment 1 on the 2016 ballot. The amendment was funded by millions from Florida Power and Light, Duke Energy, Gulf Power and Tampa Electric. In addition to the utility money, remaining dollars came from organizations with close ties to utility and fossil fuel companies, like the National Black Chamber of Commerce and 60 Plus Association. AARP opposes the underground lines bill because of the expected cost increase. It said everything that the bill requires in terms of hardening can be achieved without changing the base rate, which would affect the fixed-income seniors it represents. In AARP’s annual survey of its 3 million Florida members, the rising cost of utilities was listed as their top concern, above access to high-quality care through Medicaid. The Florida Industrial Power Users Group is also against the bill. Members of the organization use power in massive amounts, and would likely have to pay more to subsidize the undergrounding. But many of these companies are directly connected to their own transmission lines, and would not directly benefit from the undergrounding of lines. John Moyle, an attorney for the group, testified at a committee meeting that he doesn’t think the bill is necessary. He added that environmentalists take issue with these upgrades because when utilities look at hardening or grid modernization, oftentimes they make upgrades that are not accommodating of renewable energy production.